The Chantry School is a mixed Academy for pupils aged 11-16. It is situated in the village of Martley, in rural Worcestershire, seven-and-a-half miles west of Worcester, nestling amongst the hills of Abberley and Woodbury to the north with The Malvern Hills to the south. There are currently 765 pupils on roll with an intake of 175 pupils in Y7. The school has recently expanded to accommodate the population growth in the surrounding area. We have completed a £2.25m building programme to support this development, comprising new maths accommodation, science facilities, a humanities block and dining space. We have also opened a new Learning Support area to provide a purpose built base for pupils who require extra support. The Chantry School serves a wide rural catchment area including the villages of Abberley, Astley, Broadheath, Broadwas, Clifton-on-Teme, Great Witley, Grimley & Holt, Hallow, Martley and touching the western suburbs of the city of Worcester. We have a strong partnership with our local primary schools, with nearly all pupils in those schools regularly visiting the site to take part in competitive sports events against other primaries. 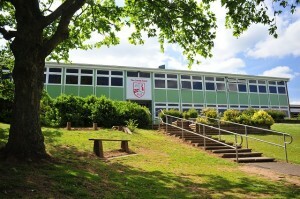 The school had an Ofsted inspection in 2009 and achieved an overall ‘outstanding’ grade. We have been visited by Ofsted most recently in 2015 for a ‘good practice’ visit to focus on our work with disadvantaged pupils. The standards of teaching are high and relationships between staff and pupils are continually good. In Summer 2018 76% of our pupils achieved level 4 and above in maths and English, and 50% at L5+ placing us once again amongst the best in the county. Provisional ‘Progress 8’ data (+0.22) shows the score adds significant value to its learners. Standards of behaviour, led by high expectations and clear systems, in and out of class are outstanding. Visitors to the school often comment on the purposeful and calm atmosphere in lessons and positive relationships between staff and pupils. The school is academically successful, but we believe education is much more than a collection of examination grades, important as these will prove to be in life. We aspire to grow every aspect of a child’s development and to this end we offer a wide range of extra-curricular opportunities. Whether a child is interested in arts and music or sport and adventure (or all of them) there are opportunities to explore. In recent years we have had musical productions of We Will Rock You, Grease and Bugsy Malone. Pupils have opportunities to learn a wide range of instruments at the school, and maybe contribute to the musical production or to one of our showcase performances in the year – The Talent Show or Battle of the Bands. We believe these are truly memorable events that will stay with pupils for life, and they are experiences they gain a huge amount from. On the sports field we offer the full range of both boys’ and girls’ sports, running teams in all years at rugby, netball, football, hockey, cricket, rounders and basketball. We also take part in athletics and cross country meetings. If school level sport is not for an individual, we offer inter-form (House) competitions that are keenly fought in all years, culminating in the annual sports day in July. 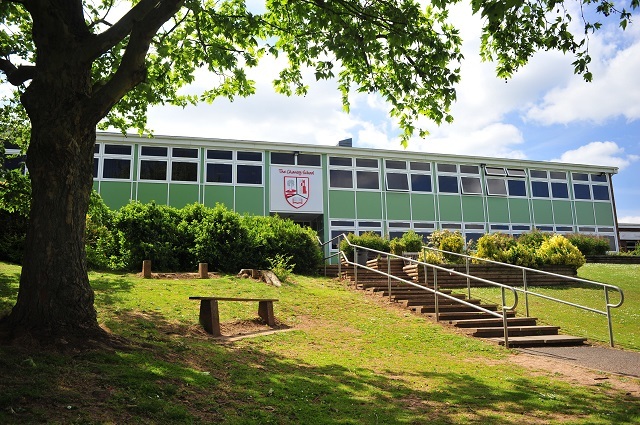 Our sports facilities include the exclusive use of Sport Martley, including gym and climbing wall, during the school day, as well as playing fields and netball and tennis courts. Extra-curricular opportunities abound at The Chantry School, and events here are truly exceptional. Within the curriculum we offer Exchange visits to both France and Germany, and welcome pupils to our homes as hosts. Y9 pupils have the opportunity to visit China – a very popular trip that has grown over the last few years and, again, is truly memorable. For the active there are 2 ski trips a year – one for lower school and one for upper school pupils. For the really adventurous we have organised World Challenge trips to Tanzania and India. Coming soon (in 2019) is the opportunity for Y10 / 11 pupils to visit Borneo. The curriculum is also very well supported with regular (and cheaper!) trips nearer home. Recent visits include New Scientist Live, theatre visits, Kenilworth Castle and Geography field trips to name a few. As a relatively small secondary school, we pride ourselves on knowing our pupils very well indeed. We strive to establish a strong, purposeful and positive partnership with parents and carers, to ensure your child’s wellbeing, happiness and success. Underpinning our philosophy is the belief that it is important to develop young people who have a high regard for, and a compassionate understanding and tolerance of, other people’s views, cultures, backgrounds and faiths. It is important that we enable all to be proud members of, and positively contribute to, our caring community. Transition to secondary school can be a difficult time for some and we work hard to ensure this is a smooth process, with lots of opportunities to participate in organised events and become more familiar with the school prior to joining us in the September. We offer a wide range of continual support to pupils as they move through the school and our form tutors and extensive pastoral care team are always available to help pupils with any difficulties they encounter. When pupils leave us they attend a wide range of post-16 provision ranging from Hereford to Birmingham and all points between. With strong relationships with these providers, we are able to provide pupils with excellent information to guide their next steps.